Moving on with gray paint colors, I decided to divide it up into cool gray paint colors and warm gray paint colors. Or grEy if that is your preferred that spelling. I prefer it, but learned it as grAy, so I’m sticking with that. Here’s the last post about Benjamin Moore Warm Gray Paint Colors in case you missed it. Today we are going to focus on Benjamin Moore cool gray paint colors. This is the deal with gray and those of you who work with it a lot will understand this. It is very rarely just gray. It is usually either blue, violet, green or even a bit yellow or brown, but most commonly blue and violet. If brownish, we either call it greige if light [gray + beige] and bray if darker [brown + gray and sometimes a bit of violet]. And it takes the tiniest dab of these undertones to make what looks like a pure gray on the chip to look like something else on the wall. Yes, very scary. And even scarier. Sometimes what it looks like on the chip is nothing like what it looks like on the wall! The truth be told, as difficult as it is to get white right. I think that gray is worse! 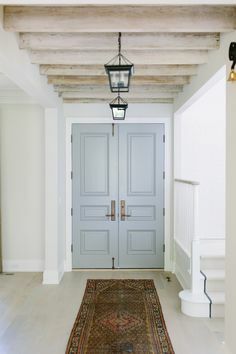 Benjamin Moore cool gray paint colors. Isn’t gray by definition cool? Well, yes and no. Some grays do have warmer undertones. And some have cooler undertones. However, it’s sooooo easy for gray to go blue and/or icy. So, I’m going to try to avoid anything that will read baby blue and stay away from icy. Just to make it even more confusing, some of these grays do straddle between warmer gray and cooler gray. Don’t worry, I’ll spell it all out. These are the paler shades of gray. I’m keeping this list to Benjamin Moore. No Sherman Williams which is not because they aren’t good. They’re too good! One day, I think I will write a post about the best Sherwin Williams Gray paint colors. PAPER WHITE 1590 Paper White is a very soft, verrrrrry pale gray. It is so pale that it might even look white in some lights. I think that it’s a better choice for a darker room. Therefore, it’s a good one for a gray for a north facing room. It is actually neither warm nor cool, just a very pale dove-gray and a wonderful choice for anyone wanting to give a pale gray room a go. My bathroom again. Oh, By the way, I have already done a post on great pale gray shades for bathrooms and there is a lot of overlap. I’ve had this in my bathroom for nearly 2 years now. I never tire of it. It’s almost like an opal. It’s always lovely and soft no matter the lighting. And even more popular is Horizon. Before we sold our home I had painted both our master bedroom and bathroom in this soft color. I think that this color is a fabulous color for bathrooms, especially with Carrara Marble. Our bathroom only had a small skylight but I really liked the color in there. It looks a lot darker than on the chip. In the bedroom which faces south-east, I was less impressed, however that doesn’t mean that this is a bad color. The bedroom was devoid of architectural interest. So, in a room with lots of moldings, I think it would be a great color! It is a pale gray with a bit of blue-green in it. Never icy! Wickham gray is a very interesting color. It’s the cleanest gray of the lot. I did use it in a very dark entry and while it brightened up a surprising amount, it also appeared a tad icy because of the lack of natural light. However, it was still really nice. It is not a cold gray and it does have a lot of blue-green in it. Moonshine is a pale gray with very,very slight green undertones. I’ve never used it but there are folks who absolutely adore this soft shade. 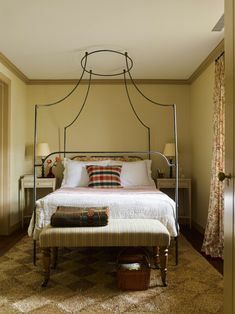 A couple of years ago, I specified this color for a master bedroom and the client adores it! It’s one of those that changes a lot with the light. Sometimes it reads ever so slightly lavender and sometimes goes a bit blue, but a very, very nice grayed out blue. It’s a very soft color and wonderful for a bedroom. This shade is a bit deeper than Pebble Beach with blue undertones. I would definitely check it out. I read about this color on a blog from someone probably as nuts as I am. haha. She went through just about every color on both of the main B. Moore fan decks before she discovered the color on the Affinity fan deck. If you don’t know, the affinity colors were the first low VOC colors that came out several years ago. They claim that it only takes one coat. Usually, not, but never more than two. Coventry is a bit darker than eternity. Again, I’ve never used it but has gotten rave reviews. And yes, it’s that Julianne Moore. I honestly don’t think it’s fair that one person should possess that amount of beauty and talent! for your pinterest boards below is a recap of the Benjamin Moore cool gray paint colors. and there it is… Next will be the Benjamin Moore warm gray colors and there are some fabulous colors there too! I’m also going to do a post on darker grays. That’ll be fun. Are there any light cool gray colors that you love that I missed? Finally. We have a day above freezing here in New York! And it’s Daylight Savings Time. Hooray! I have spent over $100 on BM samples. I have a small living space, I want a cool grey/blue, some white subtle. I painted the room Going to the Chapel, and it looks green. Love the Eternity paint color! Do you happen to know the cabinet/trim color in that photo as well? Your hard work shows. Your site is fantastic! I am deciding upon changing the paint color of my house to gray. I also am going to change the wooden floor stain to a mocha or coffee bean finish and keep all the trims white. The problem is I can’t decide on a specific gray-white combination and would really appreciate your advise or guidance. If you want I can send you the photos. I wish I could just pull the answer out of a hat, but alas, it’s not that easy. It’s made a lot easier if I can see everything that’s going on–in person. And even then, am often struggling if presented with “givens” that aren’t really working to begin with. I’m not saying that yours are, but it happens and then it’s like slogging through mud trying to make it all work. Gray is very difficult. And one reason is that it usually reads as some other color. But I like those colors. And it’s okay not to like gray. It can be very beautiful if used in the right way and with the right furnishings and accents. What are your thoughts on BM Nimbus? What undertones do you see this color having? Also, I painted a guest bathroom SW Accessible Beige but mixed in the BM Regal eggshell finish. It didn’t quite turn out the same as the SW mix…it sort of has a green undertone. Have you done this with success and been happy with the color? (Not necessarily with Accessible Beige, but just taking a color from one company and using the others paint formula. Also, you mentioned SW is “too good”in this blog and I wonder do you think their color saturation is better? Lol Laurel, I wasn’t asking for a consultation. I was merely asking your opinion on the color Nimbus and some other basic questions. Thanks anyway. It would take considerable time for me to figure it out and time constitutes a consultation as I need to get paid a hefty fee for that. But again, am not doing them because people don’t want to pay a hefty fee. It appears that most people not in the business don’t understand what’s involved. I reply to everyone, but I’m sorry, I can’t get into this kind of detail in the comments. I wish I could help everyone, but for me to answer this would constitute a paint consultation and I’m no longer doing them. 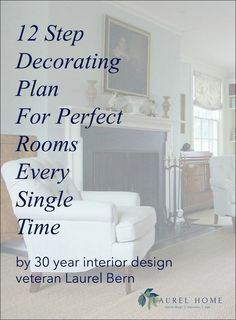 I was so excited to see this post as I am picking colors for my NE facing bed/bathroom right now. Bathroom fixtures will be all white. It’s impossible to say from where I’m sitting. So much is contingent on the light in your rooms. You could paint the two areas the SAME color and it might look quite different and/or paint them different colors and they could look the same! They might look great together or terrible. Pebble Beach goes cool blue-ish ever so slightly lavender sometimes and horizon generally goes ever so slightly blue-green, but not always and not in every light. We have gone through 6 Sherman williams paints, 3 made it on the wall space like you said. Looking for a taupey grey and all of them look purple???? I can’t suggest paint colors from here. If you’re struggling and you’re there, imagine how it would be for someone who is not there to see your light and what else is going on? No worries. I get requests like this all the time. Hi Laurel!, I have a low light small north facing kitchen. That’s a difficult question to answer because I don’t know what else is going on. However, a couple of over-all points. It is difficult to pull off pale/gray/blue/green for a kitchen unless one knows how to work with it. I would not paint the walls white. I would paint them the same color as the cabinets which I think will look a lot richer. If you google “Sheila Bridges blue kitchen” and then click on images, you can see how she handled it. In that case, she used a beautiful wallpaper for a textural tone on tone effect. The other point is that I lived for over 20 years in a smallish north-north-west facing kitchen. It did have two nice size windows that went out in a V-shape and a glass door out to the small deck. However, it butted up against a very large hill. So, for two weeks out of the year, a ray of sun would shine for a few minutes. Otherwise, the lights were almost always on, despite the windows. Oh haha! Too funny Heidi! But I’m having a deja vu. Well, something similar. Or maybe Maureen told me? Well, this is why I don’t give a whole lot of attention to the so-called rules of north facing, south facing. It’s all a big bloody crapshoot as you’ve become aware. Thanks, I am always so anxious for your articles that I skip right over that box. I just had it delivered, so I will give it a read. I do not under stand what is meant by the 2x formula. If you see this, could you explain? Do you mean a darker version 2 down the chip as in River Reflections 1550? Hi, I may have missed the name of the whites used with these nine cool grays. I know that the white used on the trim affects the color of the gray. If you have not already can you suggest a white to use for the trim where the walls have been painted Paper White? I hope you will understand this. That is not information I am giving away for free. You ask some very good questions, but I can’t give you any answers that will satisfy your curiosity because I cannot see your unique situation. I have been very impressed by your opinions on decorating.I pwonder if you can help me. I am trying to renovate my kitchen.it is a fairly large kitchen with a center island.The floor has light gray tile.The cabinets are white and the countertops are white granite with some splashes of gray.The appliances are white.I am wondering what shade of gray I should paint the walls.It is a fairly bright kichen.Your opinion will be much appreciated. I can’t even begin to tell you how much of a God send your blog has been. I have been struggling with trying to find the perfect gray for my walls for months now. Every time the paint has went on looking GORGEOUS… just to turn baby blue once the sun went down and viewed under artificial light. 🙁 I will definitely try some of these as well as get samples of several of the warm grays that you mentioned in another post. Thanks so much for your expertise and this wonderful blog! So appreciated it! Yes, so many grays can go blue and/or purple! And what makes it so difficult is that you can’t see it on the chip! I have Shoreline in my little bathroom, so I can say with 100% certainty that it does not go blue at night. It’s a very soft light gray that doesn’t go icy either. There’s a warmth to the coolness if that makes any sense. Horizon is another really good one. I so appreciate your kind words, however, I am not doing paint consults at this time. There’s a lot more to it than just throwing out a color and saying it’ll be the right one for you. It’s like a doctor diagnosing an illness based on the fact that you’re not feeling well. I love your post! A question: I”m painting the ceiling of my living room in Benjamin Moore’s Ballerina Pink (it’s very pale). Would you use a warm grey or a cool grey for the walls? I want it to be quite light. I followed your suggestion to use a warm, pale grey (I ended up with BM’s Classic grey) and my living room looks AMAZING!!!! Thank you so much for your advice. I’ll send you photos when we do up the room more. Hi Laurel: I absolutely love your work. I plan to paint our living room Moonshine based on the living space you show. I had a separate question about the dining nook you show with Stonington Gray. I love the wall art that is on the wall. Do you know what that is and where I can get it? Hi Laurel…I need help quickly. I have an open floor plan and high ceilings in my living room/dining room, and up the staircase to the second floor hallway. I have cream molding throughout our house (builders choice, which I’m not changing). I am torn between Revere Pewter and Stonington Gray. My draperies are gray blue satin and want to bring in that gray blue in my home…but very subtly. The painter is coming any day and I need some advice really FAST. Thanks. I am in the process of painting several rooms gray to update the look of my house. And I’ve always liked grays. Here are some of the frays Ice used. I used Revere Pewter in several rooms. Upstairs I get lots of light and beige carpeting the color becomes a warm gray but downstairs where I have warm brown wood floors Revee Pewter has blue undertones. This is a very popular color that I have seen on home tours. It is also called Ice Formations. It looks best with white trim. Edgewood Gray is a creamier gray that works well in a bathroom with cream tile and accents of gray and white towels. 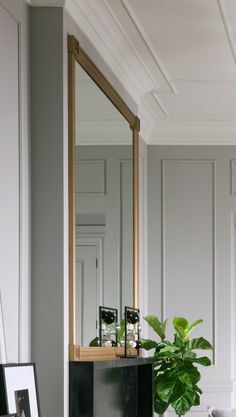 The hallway adjacent to the bath is Revere a Pewter and they work well together. Gray Owl is my total go-to pale gray. I painted in my beach condo living room and in my bedroom at home. Getting ready to use it in our new condo with super high ceilings and tons of light. It doesn’t interfere with our modern art but changes tints depending on the light. Fun! I’ve never actually used gray owl, but hearing you talk about it makes me wanna run out and grab a gallon. CR Laine makes a similar chair. If you are interested in more information, please contact me. I’m a CR Laine Dealer. Another great post….Many shades of gray (but not fifty) in my home, as well. Any clue as to who makes the chairs in the “source unknown”(wouldn’t you know) vignette? Looking for a pair such as that for a newly painted den. i’m Portuguese and living in Portugal, and really LOVE your blog! so sofisticated things, the way you wrote, the way of presente the ideas is really amazing ! congratulations!!! is my favorite blog! Have to chuckle a little; not about the paint color looking purple in one spot. It could’ve been a reflection from a red car outside— anything. [or not!] And that’s why I recommend making poster board samples of the color and moving it all over the room and at different times of the day and night just to see a range of possibilities. What I’m laughing about is that Darryl Carter’s colors are not “his” colors at all. They are the old Benjamin Moore colors from the two major fan decks, just re-branded with his name. Originally, they gave them different names and numbers, then something went south with the licensing, so the numbers are back to what they really are, but apparently, the names maybe haven’t? Not sure. All I know for sure is that the DC fan deck no longer exists. Here’s a fabulous post by Michele Ginnerty of the wonderful “My Knotting Hill” blog which explains it all very nicely. OC-63 is really “winter snow.” It’s a cool off-white with very slight purple under tones which might or might not show up depending on the light. I love colors like that! I am new to your blog and found it when searching for whites. I, too, love all things Darryl Carter. I swooned at his room at Kip’s Bay last year! I used his Somerset White (OC 63) in my living room. It has SO much pigment in it and changes all day. (The formula is entirely different in the small sample cans and the gallons…there is magenta in the gallon)I walked into the room as my painter was finishing and part of the ceiling was “purple”! When I said it I am sure the painter thought he was going to have to repaint! But it is gorgeous! Blue in some corners, even green…and beautiful white-white in other places all depending on the time of day. The mirror is from Serena and Lily. I love it too!